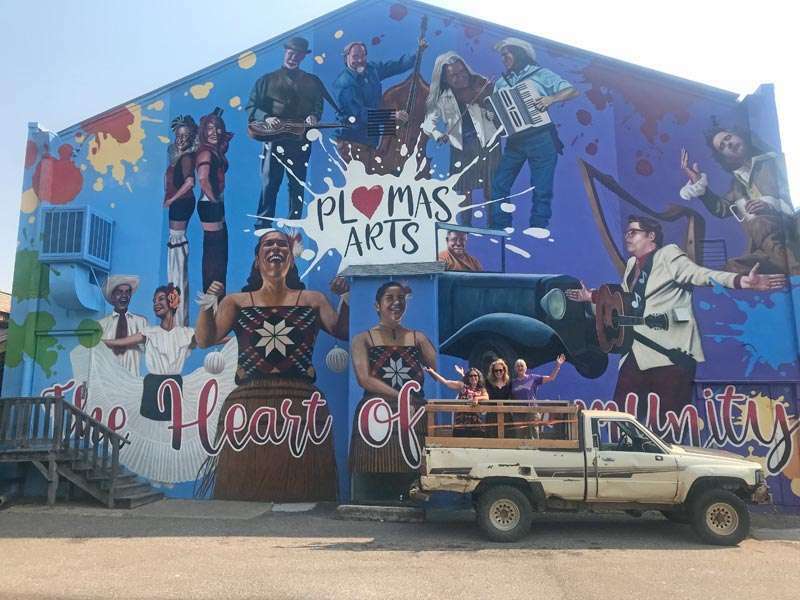 Plumas Arts was honored to host a regional meeting with the newly appointed Director of the California Arts Council, Anne Bown-Crawford, who came to Quincy to meet with arts council directors from Plumas and Sierra counties. Governor Brown appointed Anne Bown-Crawford as the new Director of the California Arts Council (CAC) last December. One of her first orders of business has been to travel around the state to meet face-to-face with the directors of the county arts agencies that form the State Local Partnership network. The Partnership is the backbone of the Arts Council programming that embraces every county in the state into a coalition that genuinely represents the entirety of California. Each county has an opportunity to designate a representative to the State Local Partnership. Plumas Arts has served as our county’s representative since 1981. In the last two decades Plumas Arts has consistently ranked in an exemplary partner status. The California Arts Council provides essential annual operating support to Plumas Arts. “The most exciting part of Anne’s appointment is that she has strong roots in the rural areas of Northern California, so she really understands the sensibilities and challenges faced by those of us who serve in rural areas,“ commented Plumas Arts Executive Director Roxanne Valladao. With nearly 40 years as a teacher at the secondary level, Bown-Crawford is a champion for arts education, serving as administrator for numerous exemplary arts programs. Most recently as director of the Arcata Arts Institute and the Innovation Design Institute, both programs within Northern Humboldt Union High School District; as well as the Fine Arts Department chair at Arcata High School. Bown-Crawford is also a founder of the Create CA Leadership Council, a statewide collective impact organization with a mission to rethink and create an educational environment for all California students featuring arts education as a central part of the solution to the crisis in our schools, and a member of the National Art Education Association and the California Art Education Association. She is also a new media studio artist and a freelance graphic designer who specializes in branding not-for-profit organizations via print, web and social media. Bown-Crawford holds a Master of Arts in Education from U.C. Berkeley, a Bachelor of Fine Arts in Design from Northern Illinois University and was an MFA Design candidate at the California College of Arts.